BEACH BLING, PEN SHELLS and live TRUE TULIPS covered the shoreline next to the Sanibel fishing pier after high winds on Wednesday. Look closely at the bottom of the next photo… do you see that very large TRUE TULIP? It was very much alive but it wasn’t the only one mixed in with those PEN SHELLS. The morning was so glorious, I couldn’t help but turn on the video camera to share this amazing sight with you. Boy, oh boy, I’m so glad I filmed this beach walk because I never could have explained this Beach Bling bananza. I’m so happy you were along with me…. That was AWESOME!!! I don’t know how you stayed so calm! Thank you for sharing your slice of heaven with us landlocked fans! Such a treasure trove! Nature is awesome! Thanks for this wonderful video. We’ll be there in 2 weeks-hope we have as good pickings. We LOVE Sanibel. That was AWESOME – thank you for filming it because its almost too good to be true. That one huge tulip is fab!! You are one lucky girl! That was so fun! I love these videos where you take me shelling with you! My husband, Jay, said I had a smile on my face the entire time ‘we’ were shelling. :) Thank you, Pam! Pam, will you adopt me? Thanks…I’ll start to pack now. Wow! I really need to be there! I can’t believe all the shells! How lucky you are to live there! I’m curious…….I know my once a year trips have gotten me alot of shells,what could you possibly do with all the shells you get? What a wonderful thing to experience for a shell-hound! Piles of pin shells! They can hide amazing things! I love the way you started out showing us how many beautiful tulips were there, just looking, respecting the creatures with-in! ….but then the delight of the collector came shining through when you began to find your amazing treasures! No one home! Keepers! I OOOOO’d! my way through them all, right with you! How awesome. What great finds. They are beautiful. Loved seeing the star fish. EEEEEEEKKKKK! (heavy breathing) Must. Win. Lottery. I am so grateful you posted this Pam! It’s gorgeous and totally amazing to see. I am laughing too and very impressed that you can shell so well and and film so well both at the same time!!! It doesn’t seem possible! You must be more or less the only person on Earth who does this as well as you do, but no wonder your cameras don’t last very long! Seriously though it’s so great, because it’s just like being there with you. Thanks again, this blog is the best!!! Are you sure that isn’t Christmas morning!!! Wow so amazing…watching you shell and picking up all those treasures almosted killed me, while I’m sitting here looking at the snow on my deck!….So happy for you, I could tell that even now so still enjoy a “good find”!! I only have a few True Tulips…that would have been like hitting the lottery for me!! Thanks for the video! Thanks for that video almost like being there! Love that big tulip shell just beautiful! That is amazing you can look for shells and video tape at the same time, I afraid I would have dropped the camera when I saw that tulip! Your thinking what I’m thinking too! If I will I’ll share! So glad you were able to get this video up! Thank you so much for sharing!! so amazing. I would have love to have been there collecting all those beautiful shells. Is it wrong that I am jealous??? Thanks so much for sharing! Well if you want, you can collect some for me and I’ll pay shipping!!! Hehe! My husband had to come in and ask what all the commotion was about!!! Wow! You have some great photos there! We hit the lighthouse yesterday and found a few very tiny candies! I asked the beach to give me horsies, true tulips, and moons… I got 2 so far… now for a tiny true tulip! I really enjoyed this video, and hearing your reactions as you discovered more treasures! It’s been a long time since I’ve visited the west coast (I live on the east coast) but remember many early, quiet mornings when we would head over to Venice to look for fossil shark teeth. What a treasure for you to have that day on the beach, to yourself, witnessing all of nature’s beauty! And thank you for capturing that moment and sharing it with everyone else. Thank you for sharing that video and I must say “WOW!! !” I am so jealous. Last week when Dana and I were shelling at Sanibel, there were so many stinky, dead fish on Lighthouse Beach, we didn’t stay long. Now I have to wait another year!!! Wah!! I will live vicariously through your video. And BTW, how do you hold a camera and shell? I just can’t get over the beauty and wonder of it all!! Thank you very much!! That video is like being in a candy store!! Fabulous!! I want to get over to Pass-a-grille and check out what the shorelines have there…. but unfortunately I totaled my car 2 weeks ago.. so I am stuck on the bay! This is truely amazing! I have a question…How do you decided which beach to shell on after a “big wind”? If I was there and went to the light house I would be wondering what’s at Blind Pass and if I was at Blind Pass I would be wondering what am I missing on West Gulf and if I was shelling West Gulf…well you get the idea! So how do you pick where you are going to shell? Wow, I will definitely have to check this place out. Maybe we can get together sometime and go shelling. Was this December or January? Awesome shelling! I could watch that video over and over. Like Lee G. said, it’s looks like a candy store. I’ll have one of those and two of those. Oh My! It looks like you had the beach to yourself, no one was even on the pier. The only noise was the slapping of the water at your feet. Most of us have so many shells but it’s the fun of the search, it’s like winning our Oscar. I just watched this video 4 times. It was WONDERFUL!!!!!!!!!!!!!!!! What a treat for all the shell lovers. I love virtual shelling almost as much as real shelling! Did you say December 12th? That’s my birthday! It was a verrah good day! Those True Tulips are Ah-ma-zing! And that one was so big! And nobody home! You hit the jackpot, girlfriend. I could feel your excitement just watching the vid. I would have had hard time holding everything without hyperventilating! The wrack line was quite a sight to see…does that happen often at the Lighthouse? Our first visit to Sanibel 3 years ago at Christmas had some stormy weather and a similar wrack line…lots of treasure, matey! Yo Ho and a Bottle of Shells! Thanks for the fabulous video, Pam. Keep up the blogging for us land-locked fans. Oh Pam… how can we ever say thank you enough??? You are our natural “sea medicine” !! !… I am so grateful to God for your love of the sea and ability to share it with us. I long for the day to “come over to the other side” of this wonderful southern state.. make the 3 1/2 hr drive, ( that will take a miracle) and spend a day or 2 with you… it is a must! What is such a teaching tool is not only your pure joy as you even sometimes squeal with delight, but also your respect for these precious creations…. how you gingerly picked up the live starfish or other live shell creatures and get them into deeper waters… admiring their beauty but allowing them to live out their days.. Thank you for continuing incredible photographic and video graphic journaling, surpassing any I have seen… Thank you cannot even begin to express how grateful some of us are for your posts! How can we say this is the very best yet – you continue to surprise us each day – you truly make my day(s). Can’t believe the pen shells, it must have been a tremendous surge to bring them up. Their tenticles keep them very secured to the rocks. I treasure each one I can find. Oh how my heart wishes I was there right now!! They would have had to bring me smelling salts had I been down there that morning. If fact, I had been down there every day the week before. Pam, you lucky dog, you! WOW! That tulip is huge! I could watch your video repeatedly. ooh! ooh… OH! oh, gosh, is that a… OOH! and there’s a….! Pure joy :) Thank you THANK YOU, Pam!!! And congrats on your BIG shell! I have all kinds of jars and displays and still have boxes and boxes of them! I will have to check out the decorating ideas! I have often said I would like to learn how to make jewelry out of my shells. Why, oh why do I have to live in the snow in Canada?? Thanks Pam, for a slice of your day! What a treat. I was doing the Sanibel stoop watching the video! Loved listening to your sounds of glee as you found each treasure! That was FUN! FUN! FUN! Oh oh oh Pam, I’m so glad the island is good to you. Thank you so much for being kind to the island & sharing this passion. This made my while weekend just watching & I was feeling a bit alone. Awesome, just awesome, thanks for sharing & now I’ll go through some of my shells!! Although December 12th is a spectacular day Christine, I shot this video on January 12th…. just a few days ago! Yo Ho Bells and a Bottle of Shells! WOW…we are trying to wipe up the drool! Unbelievable! Thank you for sharing. We come there a few times a year but we have never seen a shelling day like that. If we got there first you would have had video of us passed out on the beach with shock and awe on our faces! What a nice “tiptoe” through the tulips! Absolutely amazingly beautiful! Thank you for sharing. I hope the shelling is half that good when we’re there in 8 weeks! discover it’s perfection, I literally feel like I won the lottery. 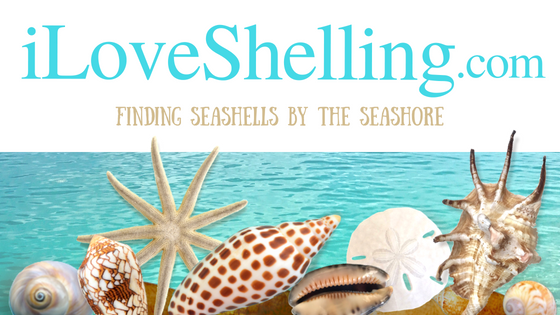 When I see I Love Shelling in my in box, I can barely wait to see what you have to share. Mere words of gratitude just don’t seem to be enough. Awesome video Pam, felt like I was right there with you! Thanks for sharing! Love that True Tulip!! Beautiful! I am in total awe! Six weeks til the Shellabration……I can’t wait! Thanks for the shelling fix to hold me over til I get there! I am so jealous!!! That is an amazing video!!! ANd that tulip is extraordinary!! Sanibel never delivers anything like that when I am there!! Was that Bowman beach? That was too much fun, Miss Pam. I can’t wait to get there and search for my own minis. Soon. I am gasping! Im on the way there I hope you left some. You must have been really excited because I believe you state at the beginning of the video that it was December 12 in the morning about 7:15! LOL Very funny…excitement has a way of doing that. Can’t say as I blame you! With a wrack line like that who can blame you? Have a shellfabulous day! WOW! I just had the chance to look at your video. I’m glad I saw this before my trip to Sanibel (7-1/2 weeks to go!). I think I have been overlooking the treasures inside washed-up pen shells. I always tended to ignore them and obviously that is a big mistake. Thanks so much Pam. I can’t wait to feel the warm water on my toes. Hi again Pam! What was the wind speed and wind direction for the past few days prior to finding these great shells on the Lighthouse end of the island? This is such a wonderful video, but I must say how very jelouse I am. My friend and I were in Sanibel the 12 thru the 14, and never made it down to the lighthouse because Blind Pass was so good. Got a little sick feeling in my stomach after seeing this. You just never know what you are missing. Gods wonders are so incredible. Keep the videos coming! Wow! I loved your video – my heart was pounding! What a jackpot shelling day it looked like – wish I was there for it. Your finds looked awesome. Hopefully all the live shells/critters survived the low tides! I take a virtual vacation with every one of your posts. I love Sanibel. Have spent many, many, many days there over the years. Have lots of boxes of shells. Appreciate your care while walking along the beach to protect the live shells. Absolutely Amazing!!! Wish I was there…especially since i was in Florida at that time!!! Hi Pam, Wow I just saw the video and my heart skipped a beat. Thank you so much for that trip. We must go there tmrw. Our puppy Sanibella kept looking around for the seaguls when I played your video full of them chirping in the background…wow what a tulip day it was…still too early for me…so thanks so much for sharing!! OMG, that is just like me! Lol, I waste a lot of parking tickets that way! It’s like you constantly feel like you might be missing out on the find of your life!! Me too! I just LOVE these videos of you finding them and I especially love seeing them after you rinse them off! Such fun! Except I was dying to reach out and grab some of the ones you missed! Lol.. Just wondering, do all those pen shells get picked up eventually? I have never seen that many!! Yes, truly amazing!! And we have the same name, same spelling! :) Sherri from MN.. Such wonderful finds; especially the huge tulip! Oh My! I wish I were there. I will be in Orlando this Spring break. Is it a good time for shell collecting? Awesome find! Anyone know of fun facts about true tulips?